SEVEN apartments have been proposed to replace a house in Warwick. 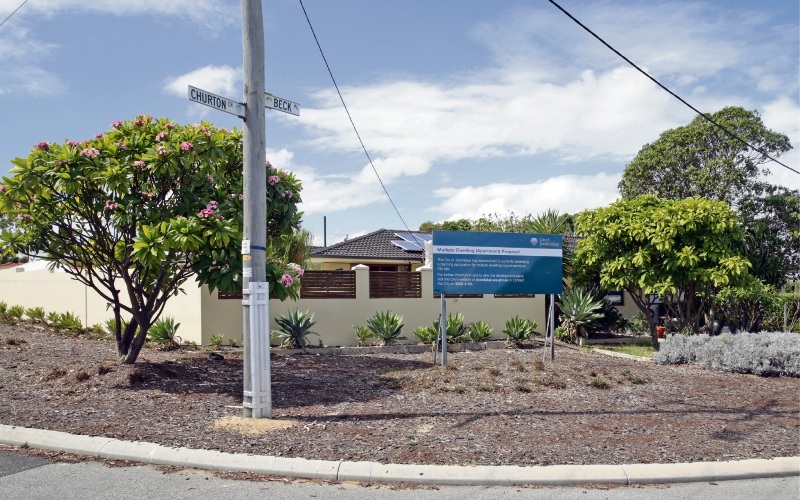 The City of Joondalup is seeking feedback on the three-storey application for 2 Beck Place. It proposes a ground floor with two two-bedroom units, seven storerooms, seven residential car parking bays and four visitor bays, and a communal area. The first floor proposes three two-bedroom units, and the second floor proposes another two two-bedroom units. The applicant is seeking discretions with a maximum building height of 9.3m instead of 9m, plot ratio of 0.713 instead of 0.7, portions of the fencing not being visually permeable, and having vehicle access from a primary street instead of a secondary street. Submissions can be made until April 17 via info@joondalup.wa.gov.au or PO Box 21, Joondalup WA 6919.